OFILM is an international platform enterprise that started operation in August, 2002, and listed on Shenzhen Stock Exchange in August, 2010 (Stock code: 002456). OFILM is an international platform enterprise that started operation in August, 2002, and listed on Shenzhen Stock Exchange in August, 2010 (Stock code: 002456). The main business of OFILM compose of optic & photoelectricbusiness and intelligent vehicle business, and the products of OFILM include compact camera module, touch panel module that full laminated with display module,fingerprint recognition module, and electronic products of intelligent vehicle. The products of OFILM are widely used in consumer electronics field as well as intelligent vehicle field such as smart phone, tablet PC, smart car, and wearable electronics. OFILM has branches in China, USA, Japan, South Korea, and Europe, and set up R&D centers in San Jose, Tokyo, and Taipei. The global arrangement enables OFILM to acquire high quality talents and frontier technology, and thus integrating global resources and leading the industry development. Throughout the world, any enterprise that only consists of the organizing system would not last a long time, it terminates because of market factors, social factors, political factors or internal factors. To lengthen the life of a company, we have to co-build another system upon organizing system, which is cultural system. OFILM’s cultural system will make everyone here understand each other better, emotionally connect with each other, coordinate with others and enrich our knowledge. It will enable us to be a firm unity of spirit which cannot be destroyed. We believe in the business ethics of customers first, and always take it as the core of our operations to meet customer’s demand. We believe that kindness will be repaid by kindness and we are willing to help everyone in need, especially those who helped us ever, including customers, suppliers, shareholders, workers and people in society. We abandon the conservative thinking that blocks the development of science and technology progress, and we will keep learning, researching and absorbing new technology, and try to apply them into developing new products and services with fastest speed. Hope we work together to make OFILM not only famous in China, but also successful and respectful throughout the world! To be a worldwide, respected, high-tech leader. In October., acquisition of Fuji film lens related patents and Fuji Tianjin full equity. In Dec., "Shenzhen OFILM Tech Co., Ltd." is renamed"OFILM Tech Co., Ltd."; stock short name changed to "OFILM Tech". In Nov., Co-financed with Nanchang Honggutan City investment group co. Ltd to set up a joint venture company Nanchang Virtual reality theme park Co., Ltd. In Nov., OFILM Co-financed with Nanchang Innovation investment enterprise management center to set up a joint venture company Nanchang OFILM Precision Optical Products Co., Ltd. In Aug., OFILM Co-financed with natural person Su Zhihong to set up a joint venture company Nanchang OFILM Curved Coverplate Technology Co., LTD. In Jul., Established a wholly-owned subsidiary Nanchang OFILM Touch Technology Co., Ltd. In Jun., The touch panel products of Magic Factory has been put into mass production. In Apr., OFILM has continuously boost its comprehensive competitiveness and industrial leadership in the industry chain with the completion of acquisition of equity in Sony Electronics Huanan Co., Ltd. In Mar., OFILM reached a strategic cooperation relationship with Mantis Vision Ltd., developer of user-friendly 3D scanning technology solutions in Israel. The two sides will conduct extensive cooperation in sectors like 3D imaging, 3D technologies and 3D applications. In Dec., invested to establish the research institute of virtual reality, strengthened the arrangement in virtual reality industry chain. In Nov., invested in Shenzhen virtual reality company, strategically laid out in the frontier of VR industry. In Nov., acquired Sony Electronics Huanan Co., Ltd. to strengthen the arrangement in camera field. In Aug., invested in ODG in US, strategically laid out in AR frontier technology. In Aug., controlled Shanghai Eastern China Automobile Information Technology Co., Ltd. and Nanjing Tianqing Automobile Information Technology Co., Ltd, speeded up automobile intelligentization layout. In Apr., invested in BAIC BJEV Company, formed a comprehensive strategic partnership, laid a solid foundation for smart car industry. In Mar., formed wholly-owned subsidiary Nanchang Multi-media New Tech Co., Ltd. to expand company’s operating business. In Feb., bought Finnish Senseg Company, to lead the enhancement of user experience of touch sensor technique, in the fields of consumer electronics and smart car. In Feb., signed the investment agreement with Huangli town people’s government of Xiangcheng district in Suzhou city, aimed to develop on-board touch panel, center control and other relative industries in Xiangcheng district. In Jan., OFILM wholly-owned subsidiary corporation Temobi and Fujian Xingyun Big Data Co., Ltd. planned to jointly invest and set up a joint venture, Fujian Province Video Capacity Public Service Platform Operating Company, to achieve resources sharing and advantages complementing. In Jan., established the Sinvo Property Insurance Co., Ltd, with other 7 companies, main businesses were car insurance, enterprise and family property insurance and cargo insurance, etc. 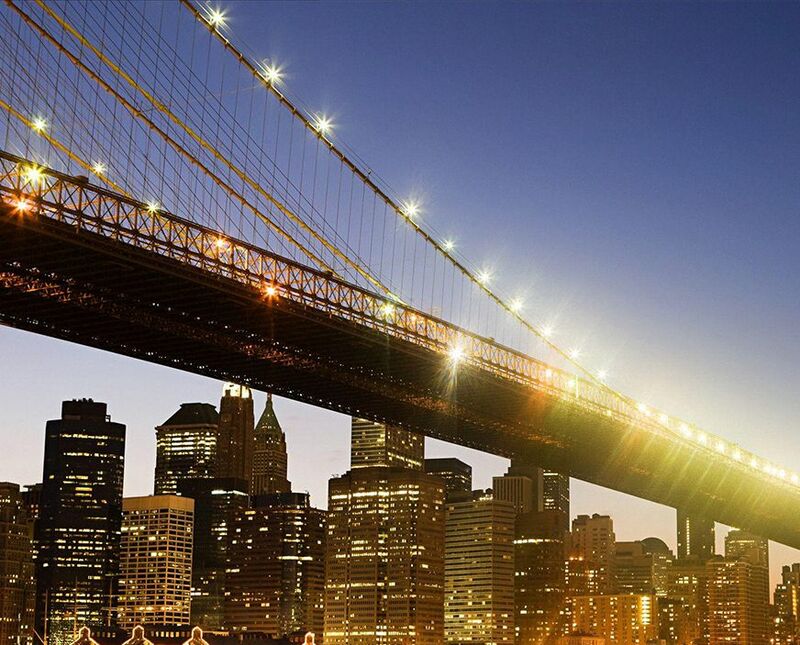 In Nov., OFILM established and co-founded OFILM Intelligent Environment Tech Co., Ltd with Guangzhou E-STARS and Sinvo Capital, aiming to become the Chinese leading integrator of smart city integration solution system. In Oct., OFILM pre-arranged a private placement of 1.5 billion to build intelligent vehicle projects, deeply dig intelligent vehicle market. In Sept., Shaanxi Tourism Administration, Tongchuan Municipal Government, Shaanxi Cultural Industrial Investment Co. Ltd. and OFILM signed agreement, to build Shaanxi smart tourism big data center together. In Aug., Shaanxi Cultural Industrial Investment co., Ltd, Xi 'an Qujiang Cultural Tourism Investment co., Ltd and OFILM signed a strategic cooperation agreement to jointly promote smart tourism development in Shaanxi Province. In July., OFILM signed a Memorandum of Cooperation with China Mobile Internet of Things, and established strategic cooperative relations with each other to create a new ecological environment of intelligent vehicle. In June., OFILM Automotive Technology Co., Ltd was set up, and began to layout the automotive electronics and vehicle networking market. In Jan., OFILM expanded in-depth cooperation with FPC. The Win-win cooperation accelerated the mass adoption of FPM in intelligent terminals in China. In Oct., Nanchang OFILM Wisdom Information Industry Co., Ltd was set up, to exploit the intelligent field and to become a leader in smart city field in China. In Aug., OFILM completed the second directional private issuance, raised 2 billion RMB, and all funds were invested to develop Nanchang base. On the basis of accumulative total investment of 7 billion RMB in Nanchang, OFILM raised new investment of 5.4 billion RMB. In July., OFILM acquired Shenzhen TEMOBI Science and Technology co., LTD and gained its TIVC video compressing & decoding technology, built the closed loop of mobile Internet multimedia comprehensive services. In Mar., Nanchang OFILM Biometric Identification Technology co., Ltd was founded, and entered the biometric technology field. In only half a year, a nationally largest biometric identification module factory had been built up. In Mar., OFILM bought MEMS technology and related assets with from DOC, which is a wholly-owned subsidiary of American Tessera company. MEMS technology enables the high pixel micro-camera to achieve fast AF, multi AF and continuous AF functions as SLR cameras. It enables OFILM to take the first chance in high pixel micro-camera industry revolution. 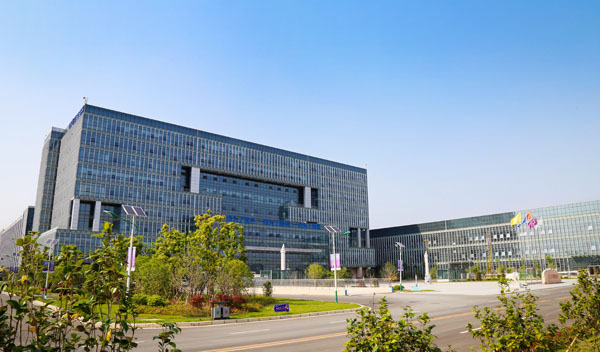 In Feb., 'OFILM Advanced Technology Research Institute' was set up in Nanchang. In Feb., Taiwan OFILM Technology co., Ltd was set up. OFILM's four basic international R&D centers in the United States, Japan, South Korea and Taiwan were basically formed, facilitating access to acquire local quality resources of science and technology, and the forefront industry information. In Mar., Nanchang OFILM Display Technology Co., Ltd and Nanchang OFILM Optical Technology Co., Ltd were founded, which served as manufacture base for cover glass for TP. In Feb., OFILM issued the directional private placement successfully for the first time, raised 1.5 billion RMB, which all invested to develop Nanchang base. In Oct., Nanchang OFILM Photoelectric Technology Co., Ltd was founded and Nanchang OFILM industrial cluster was in an early form. OFILM launched into the field of high pixel camera. In Sept., 'OFILM - Chinese Academy of Sciences Flexible Photoelectric Technology Joint Lab' was established. OFILM began to transfer from RTP to CTP (Capacitive Touch Panel), became a famous supplier of smart phone touch screen. In Oct., Nanchang OFILM Technology co., Ltd was founded, served as the R&D and manufacture base in Nanchang. In Aug., Shenzhen OFILM Technology co., Ltd listed on the SZSE (Shenzhen Stock Exchange) under the stock code 002456. In Sept., OFILM began to R&D and produce RTP (Resistive Touch Panel). In Oct., OFILM completed the shareholding system reform, and renamed as Shenzhen OFILM Technology co., LTD.
IR-CUT Filter shipment volume took the first place in worldwide, accounted for one third of global market share. In Aug., OFILM began to R&D and produced IR-CUT Filter, and became a mainstream supplier in industry like Flextronics and Fujinon. In Aug., OFILM launched into operation officially and started an entrepreneurship stage under the leadership of chairman Cai Rongjun. In November 2018 The Guangdong Provincial Federation of Industry and Commerce released the list of “Guangdong Top 100 Private Enterprises in 2018” to the society. OFILM ranked 26th on the list with a revenue of 33.791 billion yuan, ranking the same as last year. In September 2018 China's Top 500 List of Enterprises in 2018 was first listed by OFILM, ranking 472. In July 2018 China's Top 100 Electronic Information Enterprises List has been released, and OFILM has been on the list for six consecutive years. In July 2018 Winning the 24th place of "China Top 100 Electronic Information Enterprises in 2018"
In June. 2018 FPC products win the Innovation Award of vivo for two years in a row. In Jan. 2018 The wholly-owned subsidiary Nanjing Tianqing Automotive Electronics Co., Ltd. was honored with '2017 outstanding innovation' award by SAIC Motor. In Jan. 2018 The wholly-owned subsidiary, OFILM Biometric Identification Co., Ltd. was authorized to be a municipal-class engineering technology research center and provincial-class corporate technology center. In Nov. 2017 OFILM awarded 'HUAWEI Year 2017 The Excellent Core Partner'. In Nov. 2017 Nanchang OFILM Biometric Identification Technology Co., Ltd, has been approved by Nanchang municipal engineering technology research and development center. In Oct. 2017 FPM and LCM obtained the customs AEO certification. In Aug. 2017 Get on the China’s top 500 enterprises list on Fortune once again, jumped 43 places over the previous year. In July. 2017 Awarded the '2016 Mayor Quality Award' by the Shenzhen Municipal People Government. In May. 2017 Awarded 'Shenzhen Mayor Quality Award'. In Mar. 2017 Awarded '2016 Annual Quality Excellence Award' by Huawei. In Nov. 2016 Awarded '2016 Annual Best Quality Partner Award' by Huawei. In July. 2016 Awarded 'Quality Excellence Award' by OPPO. In July. 2016 Ranked in '2016 (the 30th) China Electronic Information Top 100 Enterprise'. In July. 2016 The “Large Ultra-HD Rolling Mold Manufacture Technology and Application” project awarded Second Prize of 2015 Jiangxi Province Technical Innovation Award. In May. 2016 Awarded '2016 Jiangxi Province Pioneer Worker'. In Feb. 2016 Passed the certification of 'National Hi-tech Enterprise'. In Jan. 2016 ShenZhen Temobi Science & Tech Co., Ltd, which is OFILM's wholly owned subsidiary, won the second prize in National Science and Technology Progress Award. In Nov. 2015 Awarded 'Shenzhen hign-tech enterprise'. In Oct. 2015 OFILM awarded '2015 annual National Intellectual Property Advantage Enterprise'. In Oct. 2015 Awarded 'Top 100 Private Enterprises in Shenzhen'. In Sept. 2015 OFILM Wisdom was entitled as '2015 annual outstanding manufacturer of Chinese smart city'. In Aug. 2015 OFILM was on the list of '2014 annual Forbes Asia Pacific best listing Corporation Top 50'. In Jul.2015 OFILM honored to be on the list of '2014 annual Taurus listing Corporation Top 100'. In Feb. 2015 Passed the certification of 'national high-tech enterprise'. In Mar. 2015 Honored 2014 annual 'Quality Excellence Award' by Huawei company. In Jan. 2015 Awarded 'Chinese Mobile Phone Core Supplier TOP50'. In Dec. 2014 Won the sixteenth China Patent Gold Award. In Dec. 2014 Awarded 2014 Annual 'Core Supplier' and '2014 Annual Supplier Quality Award' by Coolpad. In Nov. 2014 Entitled as 'the Annual Famous Brand' in the selection of '2014 Annual the Most Influential Brand in Touch Panel industry'. In Oct. 2014 Became the first batch of intellectual property Model enterprises of Jiangxi Province. In Sept. 2014 Awarded 'TOP 10 management team of Chinese SME Board Listing Corporation', 'TOP 10 Most Growth Value of Chinese SME Board Listing Corporation' and 'TOP 10 of Top 50 Value of Chinese SME Board Listing Corporation' in the value selection. In July. 2014 Listed in 'TOP 100 enterprises of Chinese electronic information industry'. In June. 2014 Won the 'Best support Award of 4G' by Coolpad. In May. 2014 Entitled as 'Outstanding Service Award' by Lenovo. In Mar. 2014 Awarded 'Outstanding Business Award' by Xiaomi. In Mar. 2014 Awarded '2013 Annual Quality Management Excellence Award' by Huawei. In May. 2013 Awarded a title of 'Excellent Supplier' by Lenovo. In Dec. 2012 Awarded '2012 Annual Core Supplier' by Huawei. In Dec. 2012 Awarded '2012 Core Supplier' by Coolpad. In May. 2012 Awarded 'Lenovo Group Excellent Supplier' and ' Lenevo Group Excellence Service'. In Aug. 2011 Won 'ECO-Partner' certificate from Samsung. In June. 2011 Awarded 'Supplier Newcomer' by TCL company. In June. 2011 Awarded 'Strategic Partner' by the Zhenhua Electronics Group Communications Limited. In Aug. 2009 Awarded the title of "Excellent Supplier" by Fujifilm company. In 2009 Awarded “ECO-Partner” by Samsung. In 2008 Awarded 'Excellent Supplier' by STMicroelectronics. In 2008 Won 'Private Enterprises Top 100' from the government of Bao'an District in Shenzhen. In 2008 Awarded the 'Technology Innovation Award' by the People's Government of Bao'an District. In 2006 Awarded 'Foreign Investment Advanced Technology Enterprise' by the Shenzhen Trade and Industry Bureau. In June. 2006 Selected as 'Standing Director Unit'of China Optical Electronics Industry Association. In June. 2004 Certified by the ISO9001:2000 quality management system. In 2003 Became 'Shenzhen SME Credit Mutual Association Director Unit'. Until now, OFILM has applied 4597 patents worldwide, and obtained 2764 granted patents. OFILM regards environment protection as one of the most important parts of the development strategy, upholds the environment-friendly concept of 'green development and harmonious coexistence'. With the developing policy of 'fulfill the commitment to the social responsibility, show care for the health and safety of employees, protect the legal rights of staff and improve the capability of energy efficiency and pollution prevention” , OFILM is dedicated to developing 'green' products featuring environment friendliness and free of pollution, to satisfy the higher requirements from the society and consumers. By attaching importance to sustainable development, OFILM endeavors to construct itself into an environment-friendly enterprise. OFILM is actively fulfilling the responsibility and considers the impact of its decisions and operations on the economic, society and environment. To realize the risk minimization, on the basis of this, OFILM pays enough attention to the expectations and appeals of stakeholders when it comes to strategic planning, to carry out the responsibility to the interested parties, and go after comprehensive value creation. OFILM has always adhered to the concept of social return. As a member of the community family, OFILM had been keen on public welfare undertakings, to support the development of the local community welfare, education, employment and disaster relief with practical actions. OFILM unswervingly pursue 'integrity', aiming at 'becoming a respected century-old enterprise', and is active in do the duty in a society composed of various stakeholders. As the old Chinese idiom says, 'if there were too many wood worms inside the tree, the forest may fall; if there were large gaps on the wall, the wall will collapse'. Corruption can be harmful to a company’s development, thus anti-corruption campaign is crucial to the company. OFILM is facing a severe anti-corruption situation. The chairman insists on harsh punishment to any corruption behavior, and we have to the courage to fight even tigers. Our company has zero tolerance to any corruption activity! Any person in our company will be severely punished lawfully once we find out he or she engaged in any corruption activity. We shall never let corruption spread in OFILM. 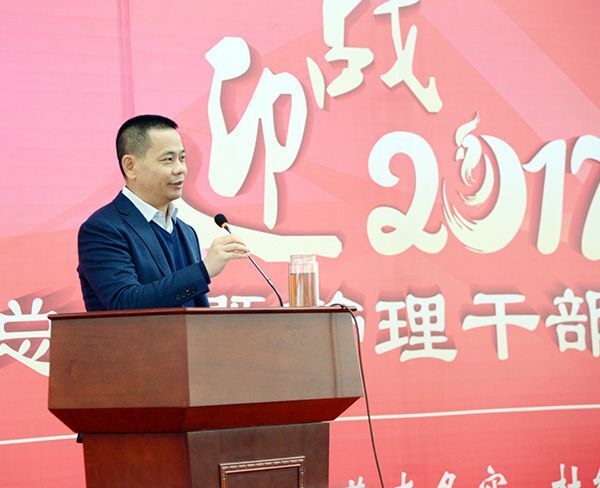 In March, 2014, OFILM held an anti-corruption conference at Nanchang location. During the conference, the chairman made a speech and led his administrative staff to pledge and sign integrity agreement, which demonstrated our determination of 'remedying confusion with severe punishment, removing illness with strong medicines' and the courage of 'scraping bones to eliminate poison, cutting the wrist like brave warriors' in combating corruption, and kicked off the anti-corruption campaign. Currently, OFILM’s anti-corruption campaign has attained some achievements. While we organizing internal inter-department activities, we enhanced our inspection on any bribery behavior between OFILM and suppliers, so that implement combating corruption effort both inside and outside the company. 1. The bribing behaviors include, but are not limited to, providing OFILM staffs and/or their relatives with cash, meals, goods, gift cards, gifts, cash cards, free services, wechat red packets, paying for any personal expenses, and offering loans, etc. 2. Suppliers are prohibited from accepting OFILM staffs, former staffs and their closely related relatives’ equity participation or providing employment. 3. OFILM staff and their relatives are prohibited from participating in material trades or any intermediary activity related to accordant projects with suppliers. 4. Prohibiting any second-tier supplier unless designating by OFILM official documents. 5. Prohibiting subcontracting, subordinating, colluding or conspiring. 7. Suppliers shall actively coordinate with OFILM to investigate and inspect, and proactively inform inspecting department of OFILM for employees’ unreasonable requirements or acts in violation of laws or regulations. Any supplier violating the above regulations will be put into the blacklist that never collaborate again. Any employee violating 1, 3, 4 or 6 regulation, will be dismissed immediately, regardless their job title, grade, or position. Their corruption cases will be report to police department for further investigation.